Fence Gates | Hoover Fence Co.
Hoover Fence Company offers the finest gates available in the fence, gate, and automated gate industry. Regardless of if you are planning a fence or gate project in chain link, wood, vinyl, ornamental steel, or aluminum, for a deck or backyard, Hoover Fence has a gate for you. If we do not have something 'off-the-shelf' that fits your needs, our gate design and fabrication services can build a gate made of nearly any material to fit nearly any gate opening - between posts, masonry columns, buildings, or walls - for residential driveways to self-storage facilities and airports. Our wide selection of stocked materials, i.e. gate hinges, latches, self-closers, keypads, and locks also allow our experienced staff to custom design a gate for your home or business to function exactly how you want it to. 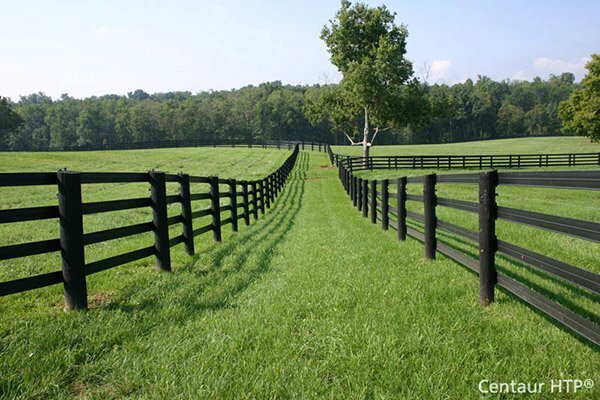 Our vast experience in the fence industry coupled with specific knowledge of fence products made by dozens of different manufacturers from all over the globe has provided us with a knowledge niche unsurpassed. Allow us to create a custom gate package and you won't have to worry about compatibility issues. Find aluminum driveway gates, arched walk gates, and gates similar to wrought iron as manufactured by fine manufacturers like Jerith Manufacturing, Ideal Aluminum, Ultra Aluminum, and Bufftech below. We also carry an impressive array of tubular steel and aluminum barrier gates which are both extremely cost effective and easy to install. For self-storage facilities and commercial fenced lots, our chain link swing and slide gates are popular. Whether you are looking for a beautiful aluminum driveway gate, simple driveway gate, or a small walk gate, Hoover Fence Company can supply all your Gate, Gate Hardware, and Gate Automation Equipment.